Between trying to sell our house, dealing with our car insurance company, dealing with the other driver's car insurance company, shopping for a new car, and trying to heal, I completely forgot that Valentine's Day was around the corner. When I received an email today from E's teacher about passing out valentines, I nearly had a heart attack. I always try to do handmade valentines, but how on earth?!? There's no time! *Cue dramatic music* Skip to My Lou to the rescue! Cindy @ Skip to My Lou posted these adorable free butterfly printables a couple years ago and am I glad she did. I'm sending the hubby to the store for colored cardstock and lollipops ASAP. The artist of the If You Give... books republished her 1983 tale of a little girl and her adventure in the most unusual weather. Cornelia Augusta discovers a shower of hearts and gathers them in her raincoat to take home. 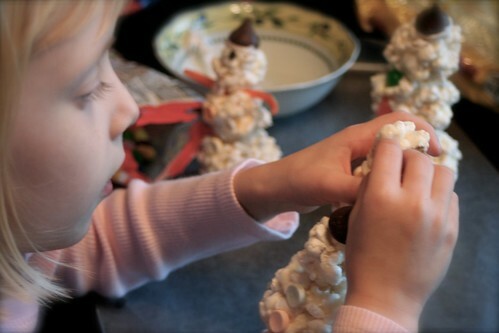 Once there she turns each one into a special valentine for each of her friends. Such a sweet and gentle story, the illustrations alone are worth checking it out for your Valentine's Day reading. I read The Day it Rained Hearts every year in my classroom. It's a great pick! I bought Valentines at the dollar store, but I keep seeing such cute ones, I think we'll make some. I'd decided on some different ones...but we might just have to end up doing these. Maybe these for the girls and the others I'd planned for the boys. We'll see. Very cute! I'll have to keep them in mind for next year. Love those valentines!! I am definitely going to be keeping them in mind for my 2 year old who will start preschool next year! After my husband having duty today and me taking care of my boys and taking them to two birthday parties today I almost forgot to put together the Valentines for my children's teachers. Little Page Turners (Christianne) you always have something to help me out!!! I'm printing these butterfly Valentine's and attaching them to the very small gifts my children got for their teachers. 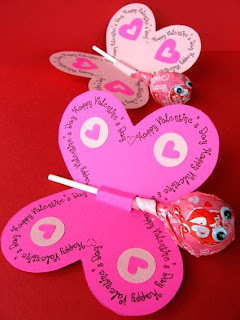 Its really a good idea to make valentines day card!! I own The Day it Rained Hearts and love it too! I recently started a blog and posted this book with an art project that I did with my 4 year old daughter! This book naturally leads to Valentine making and that is why I love it! We'll have to try some more valentines next year from this book! Love your blog! I think these rank up there with cutest things EVER.